Ku'ia Solar Farm Ku'ia Solar is a 2.87 MW solar project built in Lahaina to feed low-cost energy into the Maui Electric grid. The project is owned by SSA Solar of HI 2, LLC, an affiliate of Sun Financial and Kenyon Energy based in Florida. 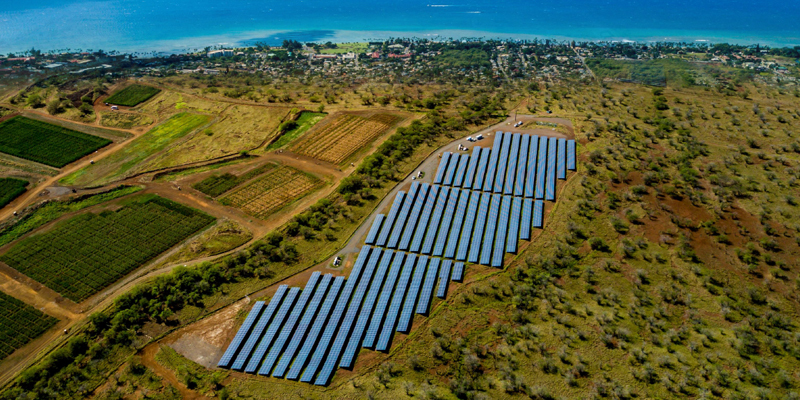 Hawaii Pacific Solar and Haleakala Energy Associates are the local development team that created the original project. The project was built by M+W Energy Group using local sub-contractors for labor. It is located on land leased from Kamehameha Schools to bring revenue to the organization and give back to the community. Lahainaluna students will have full access to the monitoring system as well as curriculum materials explaining the systems generation and output. The array field sits on approximately 12 acres within a 1,000-acre parcel. The land was previously used to grow sugar cane and was farmed by Pioneer Mill. 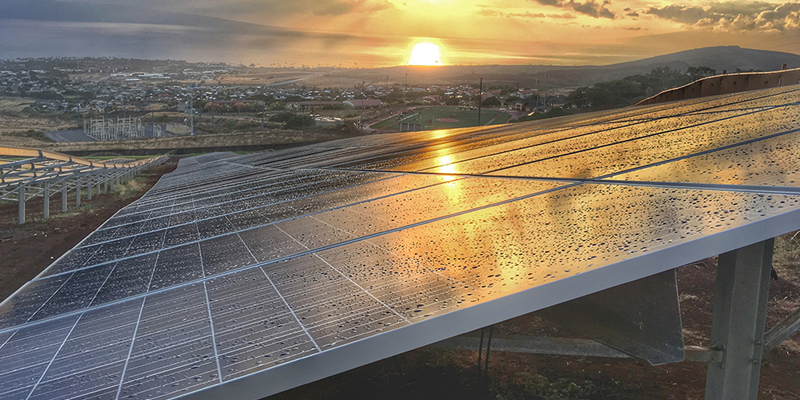 South Maui Renewable Resources, LLC (“SMRR”) is utility scale solar project in Kihei built to feed low-cost energy into the Maui Electric grid. The project is owned by SSA Solar of HI 3, LLC, an affiliate of Sun Financial and Kenyon Energy based in Florida. SMRR is the local development team and includes Hawaii Pacific Solar and Haleakala Energy Associates. The 2.87 Megawatt project was built by M+W Energy Group using local companies/labor. The project is located on land leased from Haleakala Ranch. The array field sits on approximately 12 acres within a 2,000 acre parcel. The land has been used for cattle grazing and will offer ideal sun exposure for the 12,000 solar panels producing energy.